Okay so it’s raining all the time and my phone is ringing off the hook. The thing is though, most of these callers, sought me out because of damp that has just appeared, or got much worse, they don’t need my services – I am a damp proofer and they need a good old fashioned builder (or roofer). 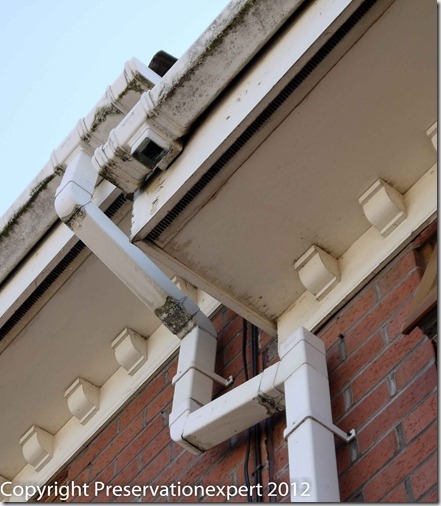 Part of this rainwater pipe is missing – after torture the client admitted it had been missing for over a year! They’ve found me because I am a damp specialist and have a fairly high profile so why not? However, in the majority of cases a short chat over the phone or a quick swapping of emails and a couple of digital photographs and we’re there. No need for me to visit them and no need for them to pay for a new damp proof course or water repellent treatment. The reason is that we all tend to neglect things that don’t cry out for attention; when was the last time you climbed a ladder to clean your gutters (or paid someone else to)? 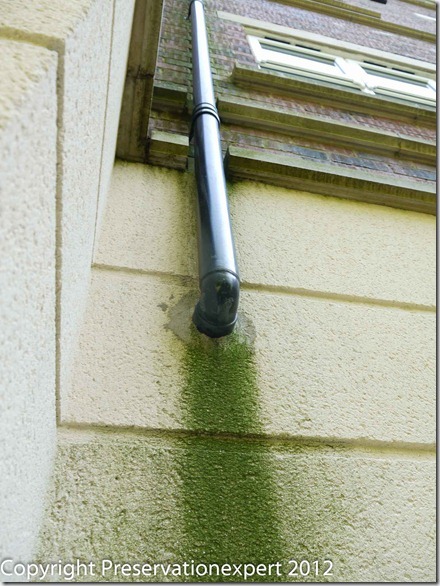 This client had fixed the gutter several years ago… so why is there an inch thick layer of moss growing under it! 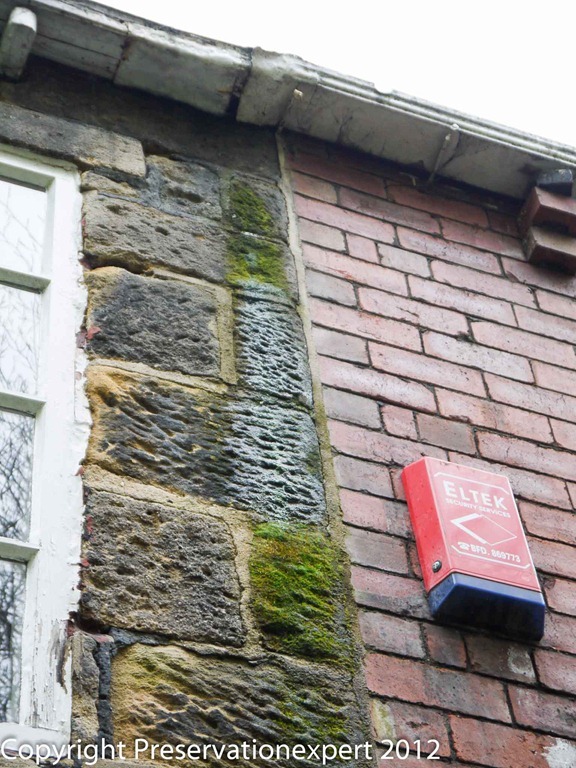 The moral of this is simple, if your damp problems suddenly appeared during this wettest of wettest July’s you have not got a rising damp problem (well maybe you have, but it isn’t the problem you’ve just noticed). Okay…there’s an excuse here – the house is sixteenth century! If you have some binoculars get them out and look at the roof – any slipped slates and such…. does the chimney look alright (no grass growing from the top or missing pointing). 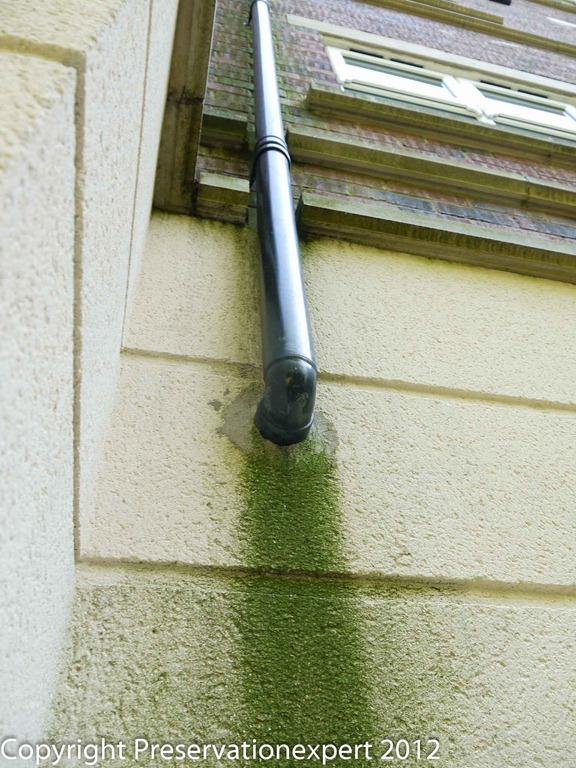 Gutters… check these in the rain only – no point checking in the dry (unless the problem is so bad and so old that you have what we all a snail trail), algae growth and salts below the gutters are a sign. 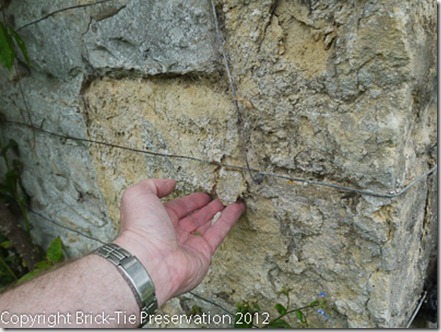 Spalled bricks – this means have they lost their face revealing the porous and ‘warty ’core. If the house is stone, is it sound or friable and crumbly? 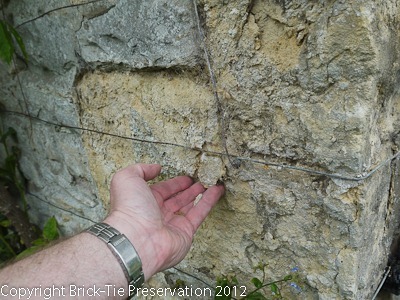 Render – are there cracks or worse, is the render hollow (a gentle tap with a hammer will tell you this). At the level of the driveway or flower beds look for ‘splash-back’ leaving a muddy horizontal strip or more moss and algae – a sure sign of overflowing gutters or high soil levels. Are the gullies and drains free flowing and not obstructed? Are the air bricks at the base of the wall clear and unobstructed too? 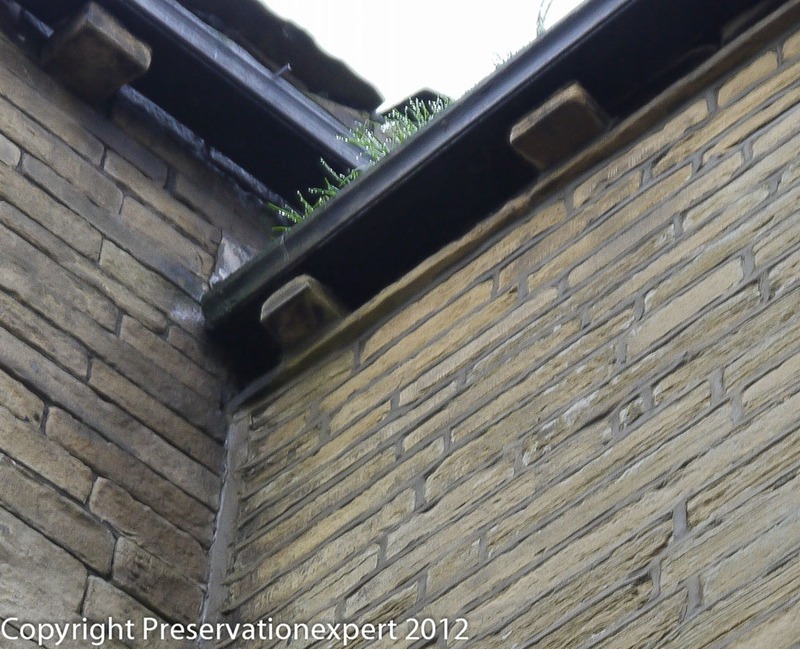 In Bradford this time and the client has a damp patch in the bedroom… guess where? The above are just a quick sample of basic and easy things you can do to make sure that most of the rain falling on your house is drained away without time to soak in and cause you problems. 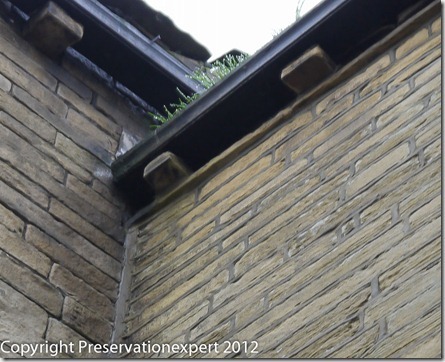 Any decent Trustmark registered builder can sort these defects. Some damp proofing specialists do this work too, but usually they stick to the more advanced work – find some in the links on my page or look at the PCA find a contractor widget. Think! if the house was dry before this biblical period of weather – it was a defect which was already there.. just waiting to be put to the test.